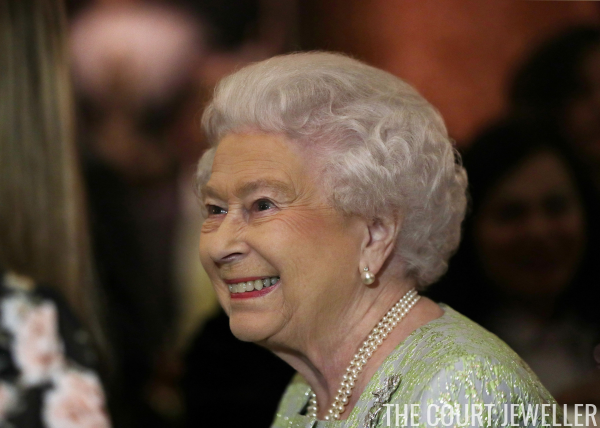 Queen Elizabeth II held a reception at Buckingham Palace this evening in honor of her cousin, Princess Alexandra, the Hon. Lady Ogilvy. 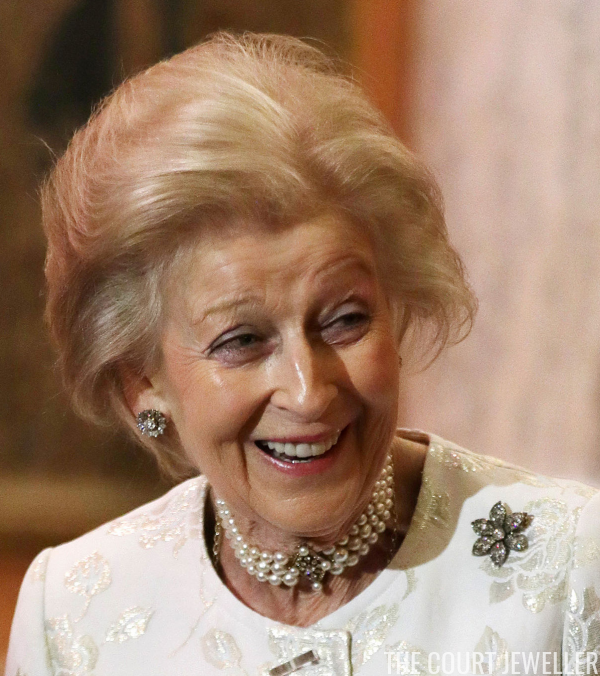 Alexandra turns 80 on Christmas Day, and this reception recognizes her decades of charitable work. The woman of the hour wore some of her favorite pieces of jewelry: her diamond daisy earrings, her six-petaled diamond flower brooch, and her pearl choker necklace with the geometric diamond and pearl clasp. We also get a hint of a longer necklace hidden beneath her jacket. This angle gives us a glimpse of a pearl bracelet and several rings. 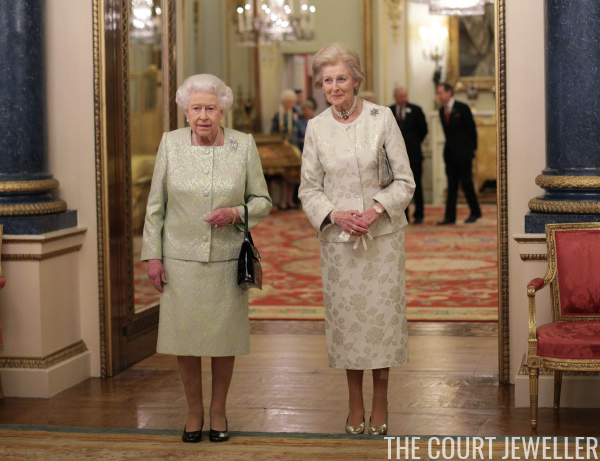 The Queen chose a special brooch for the evening, which she paired with her usual pearl necklace and diamond and pearl earrings. 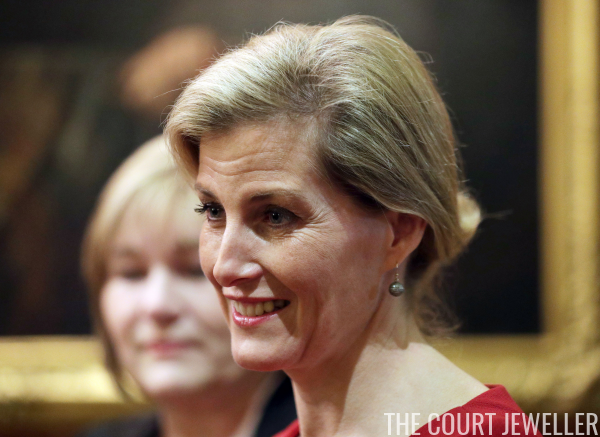 She selected one of the longest-serving pieces in her jewelry box: the Flame Lily Brooch, which she received as a 21st birthday present during the 1947 tour of Rhodesia (now Zimbabwe). 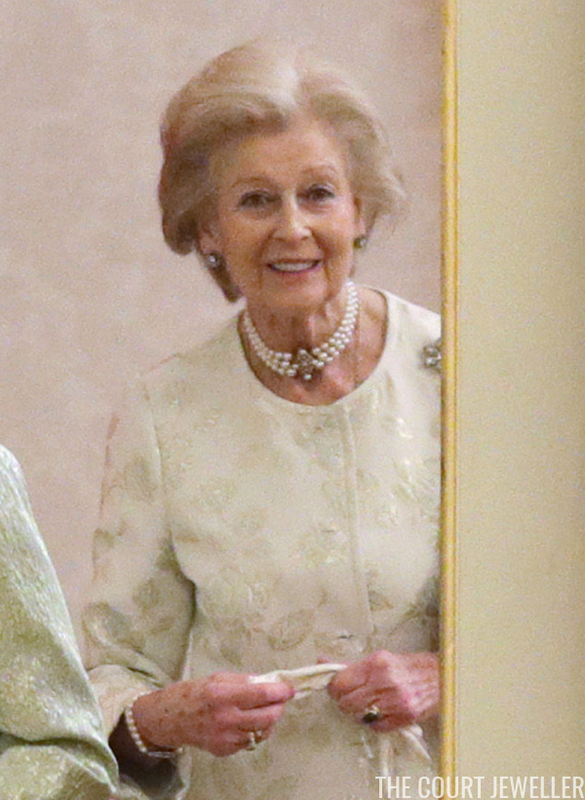 The Countess of Wessex was also present at the reception. 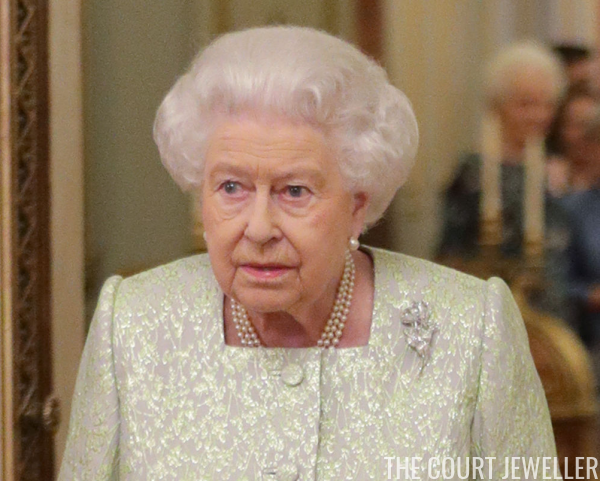 She wore a pair of pave-set bead earrings made of diamonds, silver, and gold. These are by Amrapali Jewels.